Ok, so by now Cynthia and I were making our way back to Coronado Springs so that we could take the special race weekend transportation to the race expo so that I could pick up my race packet. This was one of those times that I wished that Disney had buses that would take you from the parks to other places like Downtown Disney and the ESPN Wide World of Sports. Sometimes I hate all the time I have to take to get on multiple buses to get to some places. But I also don’t feel the need to rent a car…so I guess I’ll ride the bus and shut up. When we finally got on the race participant’s bus to take us to ESPN WWoS, there were only 3 or 4 of us total on the giant charter bus. 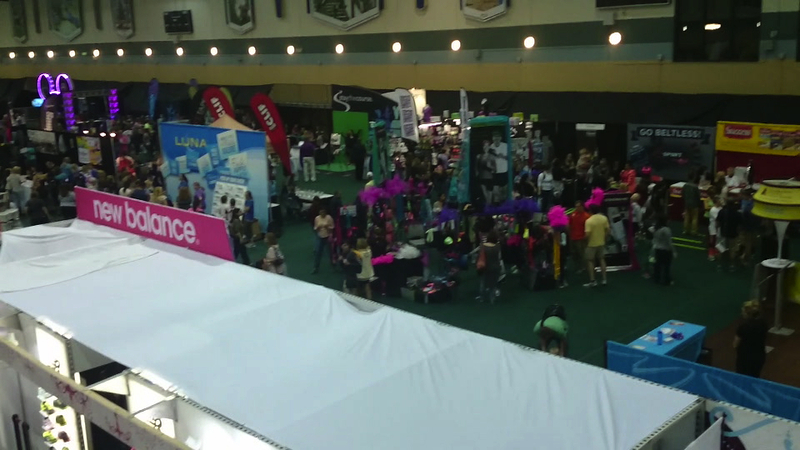 Most everyone had already been to the expo the day before and earlier that day. 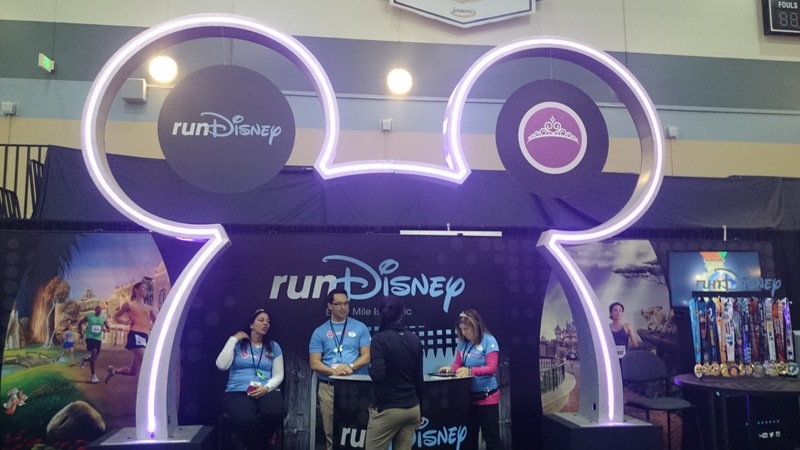 The only other race expo for a runDisney event I’d been to was the one for the Expedition Everest Challenge in 2014. 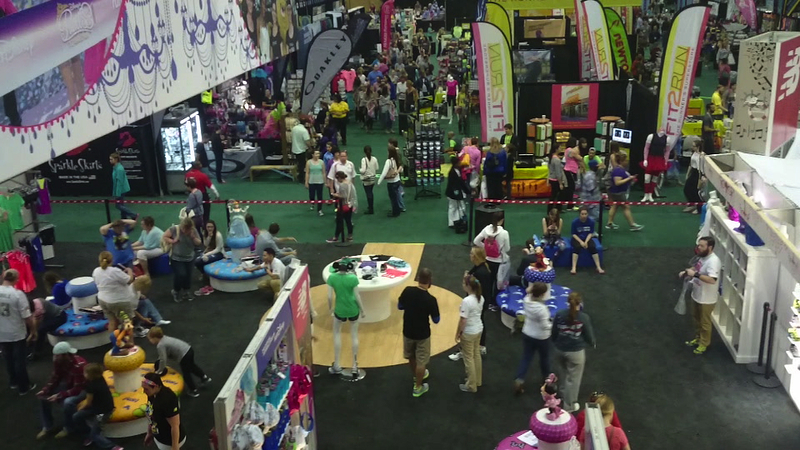 The expo for Princess 1/2 weekend completely dwarfed the EEC expo! We got our free Lasting Commemoratives bookmark, bought a souvenir race t-shirt and a nifty little RooSport magnetic running pocket. I was happy that Cynthia saw the booth that was selling these and made me stop to find out about them. That thing has come in handy more than once. I’ll be including video showing what I got and giving more details about my RooSport in my next PHM race recap video! 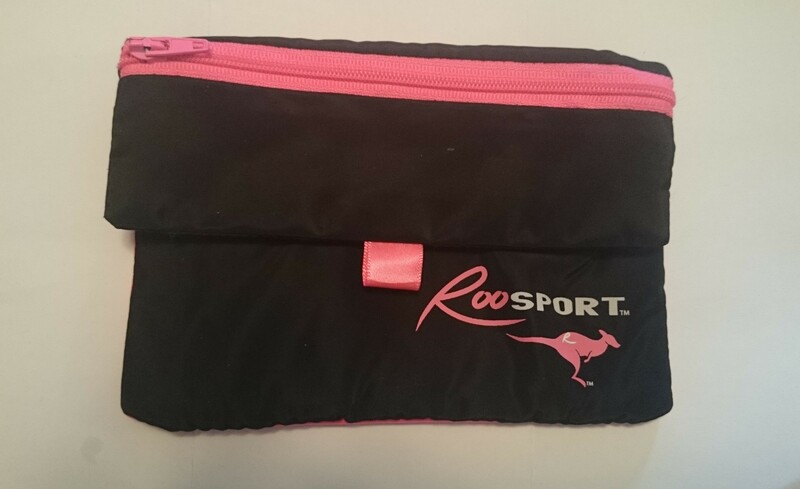 The RooSport magnetic running pocket that I purchased at the expo. Well worth it for me! 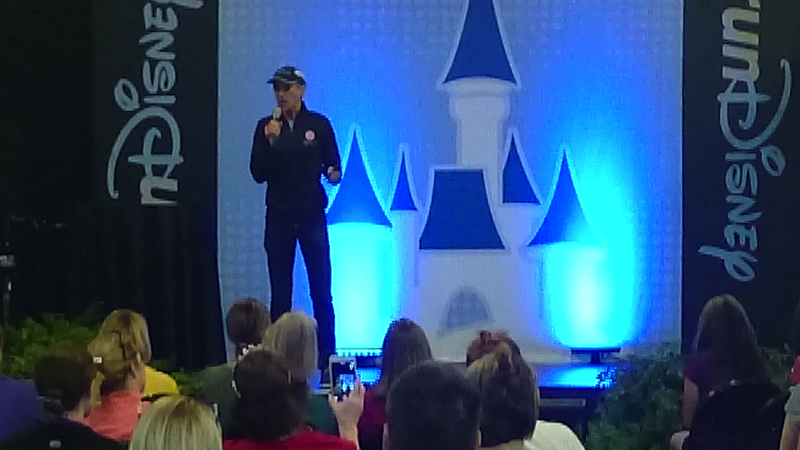 As we made our way back out of the expo we decided we’d get a snack, and on the way we passed Jeff Galloway giving a presentation on his Run/Walk/Run training and racing method! Shari and Cynthia were able to meet Jeff the day before and take pictures with him, but this is the best I was going to do that day. It was still exciting to see him! Using the Galloway method has been the best way that I can run long distances and not keep injuring my knee and ankle. By now, it was really about time that we headed back to the room to get ready for bed. We’d planned on going to sleep around 8pm-ish because we had to be up early and get to the race buses at 3am. But we had a little time left still so we decided to make a stop over at Downtown Disney. Cynthia had her eye on a specific style of sunglasses with Mickey heads outlined in rhinestones on the sides of them, and we hadn’t found any at Magic Kingdom earlier in the day. I told her that I bet that a shop or two at Downtown Disney (DTD) had them, so we rode the race transportation back to the Art of Animation resort so that we could hop on a bus to DTD. It was faster getting on the Art of Animation bus because the Coronado Springs bus had just left or wasn’t there or something like that. I don’t even remember what the case was. 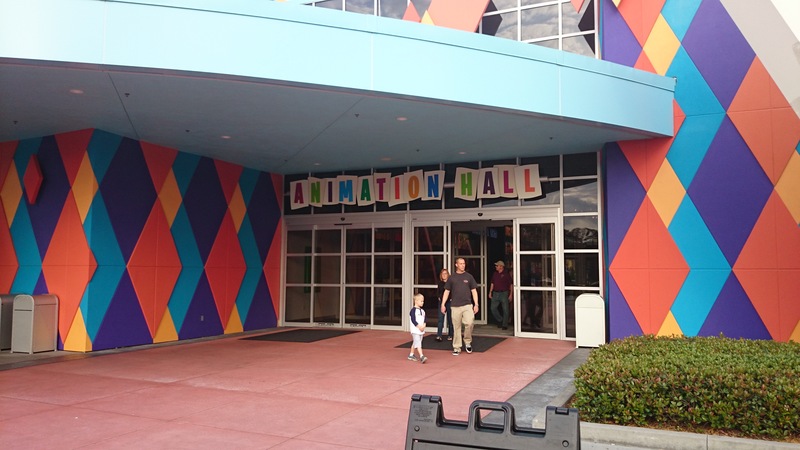 I took a walk by picture of the entrance to Animation Hall on our way to the bus stop…. Once we arrived at DTD, we found the sunglasses pretty quickly at Trend-D. 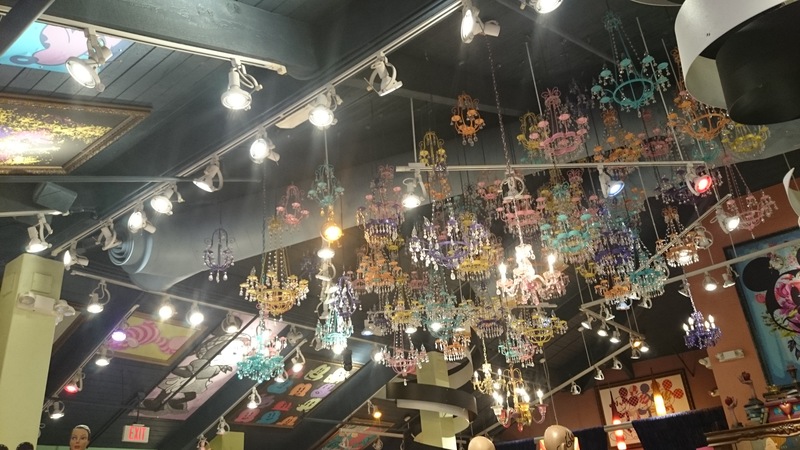 This is such a cute store! 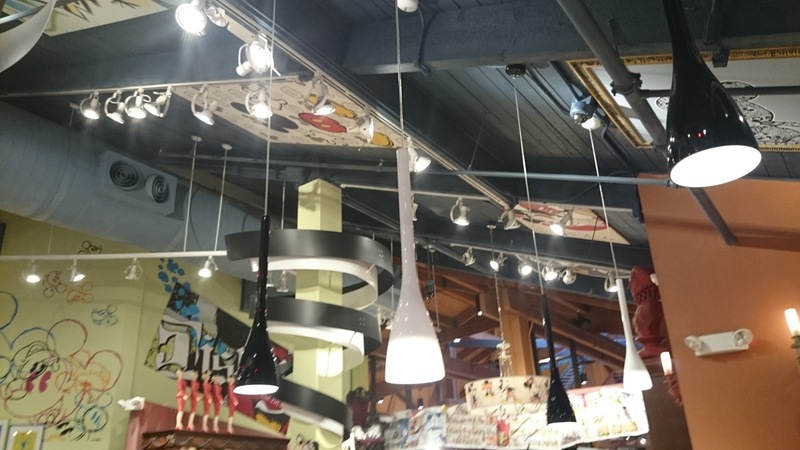 I love the decor and the ceiling especially! If you’ve never gone into Trend-D, I highly suggest you check it out! After we left Trend-D we decided to take a quick walk through DTD just so Cynthia could see some of what was there. 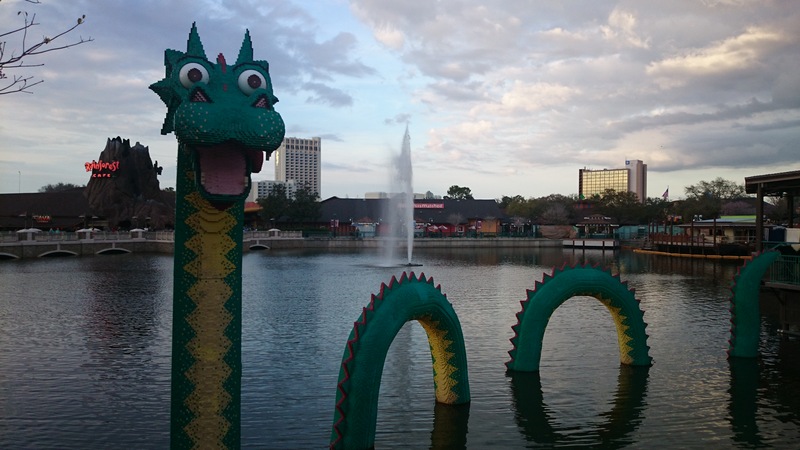 I had/wanted to get a new picture of the Lego sea monster (or loch-ness monster…whatever you want to refer to it as) first, but then we knew we had to get going and head back to our room to prepare for race day the next (early, early) morning. Shari had messaged us earlier to let us know that she wasn’t feeling very well and that she was going to go lay down. I hoped it was nothing serious because I didn’t want it to affect her being in the race the next morning. Cynthia and I got back to the room right around 8:00 or so and I thought about something…. I wasn’t hungry. Normally this wouldn’t be a big deal but I felt like I needed to eat something before I went to bed because I knew I wouldn’t want to eat much in the morning before the race and we definitely didn’t need to do a half marathon without eating dinner the night before AND without eating something the morning of…. We decided we’d go see what we could find for us to eat for breakfast at the food court. We checked on Shari and she was feeling feverish, I had something to help her and I told her I’d bring her a Sprite back from the food court. Cynthia and I went ahead and ate something at the food court and Cynthia asked to have some peanut butter sandwiches made so that we could have those in the morning. Yes….we were not very prepared fuel-wise for this race. I’ve actually got a list going of things I know I did wrong leading up to this race. After we did all of this extra crap trying to get some food into our bodies and have something ready for the morning….Cynthia and I finally got to bed at close to 10pm. Ugh. 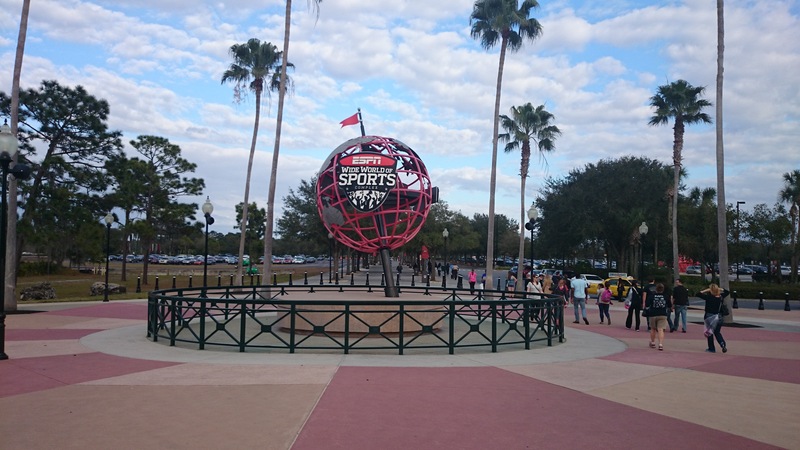 Posted by Shandale on April 18, 2015 in Running and RunDIsney, The Daily Post and tagged Art of Animation, Disney, Disney Blog, Disney Magic, Disney obsession, Disney Parks, Disney Princesses, Disney Trip Report, Disney Vacation, Disney World, Disney World Trip, Downtown Disney, Expedition Everest Challenge, Hidden Mickeys, Jeff Galloway, Magic Kingdom, Princess Half Marathon, Random, RunDisney, Running, Solo trip, Walt Disney World, WDW, YouTube channel.